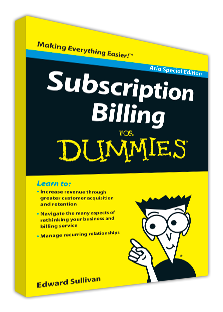 Recurring or automatic billing is simply the process of automatically billing a customer on a regular interval. Sometimes it’s monthly, weekly and even yearly. Generally, companies on the Internet love this type of billing because they get to store a credit card and bank on a regular income stream. That looks good on the balance sheet. Where it doesn’t look good is for the customer, as many of the companies the I have encountered use repeat billing tactics to abuse the customer’s goodwill. I’m going to offer some serious sins companies make when billing automatically and suggest some ways to improve the process. Who’s in your wallet? Could be Capital One! Unfair business practice is nothing new. Businesses of all sorts try to gain that extra edge by making gynormous charges or, in the case of credit card companies, charging debilitating amounts of interest. Capital One, however, has done something even MORE worthy of our disgust for credit card companies. Recently, my sister was called and pitched about a credit card and she thought it was reasonable enough, so she applied over the phone for the card.